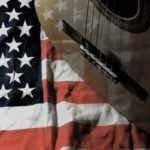 The ASF partners with Covenant House Georgia and Metro Music Therapy of Georgia to bring music to homeless teens. 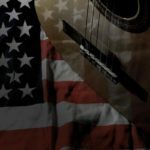 Atlanta, Georgia – The Alchemy Sky Foundation announced a partnership with Covenant House Georgia and Metro Music Therapy to facilitate weekly music workshops for homeless, runaway and trafficked youth (ages 18-21) who have found a home at Covenant House. 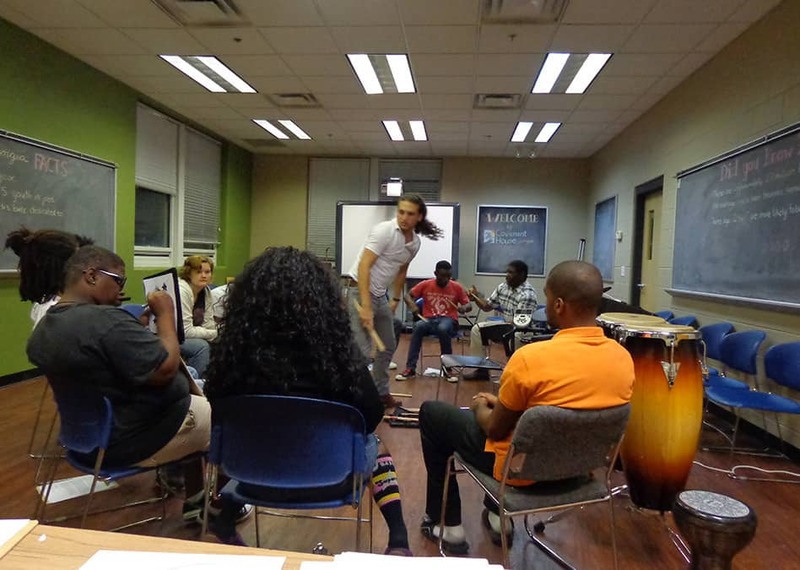 The music sessions are held on-site at Covenant House Georgia and consist of various exercises, activities and interactions that help teens express their emotions and feelings in a healthy way. These youth have often escaped abusive or neglectful homes only to end up on the streets of Atlanta; music is a means to release the negative emotions associated with their past. Instruments and equipment are provided by Metro Music Therapy of Georgia and the Alchemy Sky Foundation to keep the workshops interactive and fun. The workshops foster a positive environment that teaches communication skills, boosts self-esteem and inspires creativity through the healing power of music. Covenant House Georgia is a subsidiary of Covenant House International, the largest, privately funded nonprofit service organization serving homeless young people in the Americas. Covenant House Georgia has been providing food, shelter, counseling, education and vocational training to homeless, runaway and trafficked youth in the Greater Atlanta area since 2000. For more information on special events, accomplishments, services and volunteer opportunities, please visit Covenant House Georgia’s website at www.covenanthousega.org or contact us at 404.589.0163. Metro Music Therapy is a private practice serving the metro Atlanta and Orlando areas. We envision a day when all of our patients and clients, from their first breaths until their last, will be given the opportunity to grow, thrive and heal through their involvement in music therapy services. Our mission is to offer the most current and innovative music therapy practices to help our patients and clients achieve non-musical goals through the use of musical interventions. 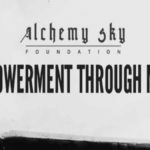 The Alchemy Sky Foundation brings the healing power of music to those who need it. ASF partners with organizations in the community as well as a broad network of music and mental health professionals to create needs-based programs for our clients. The Alchemy Sky Foundation is a 501(c)(3) non-profit organization. Our Friends at the V.A. What charity or nonprofit should I partner with to help Veterans in Atlanta? Please contact us if you are interested in volunteering time to The Alchemy Sky Foundation.